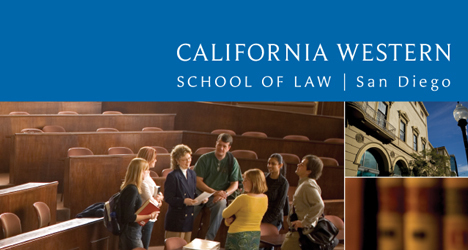 California Western School of Law, located in the heart of the city, provides a unique educational environment that includes practical hands-on learning experiences, a supportive and dedicated faculty, and a student body enhanced by its diversity. Learn more about the school, its faculty and special programs in this special section. In an increasingly complex profession requiring lawyers to expand their traditional approach to problem solving, California Western offers a range of interdisciplinary programs allowing students to take a broader look at legal education. When Admissions Director Traci Howard talks about the rich context of California Western School of Law’s education, she includes the social, ethnic, age and racial diversity of the student population. At California Western School of Law, the emphasis is on teaching students to use all the tools of creative problem solving to achieve the best possible outcome in clients’ legal matters. For a number of graduates, the skills learned at California Western have boosted them to leadership positions within legal, business and political communities. Steven R. Smith was named dean of California Western School of Law in 1996. He has taught and published widely on health-related legal issues and is chair-elect of the American Bar Association Section of Legal Education and Admissions to the Bar. While its classrooms are full of aspiring attorneys, California Western School of Law is also the home to centers and institutes that play two important roles. From an academic standpoint, they help shape the discussion about topical legal issues. From a practical perspective, professors and students involved in the programs shape real-life legal events — whether freeing wrongfully convicted inmates in California or training more than 2,000 lawyers and judges in Latin America. While the television lawyer grilling a hapless witness might make for good prime-time entertainment, 900 law students at California Western School of Law learn that real-world law practice — unlike TV drama — demands complex and varied skills.